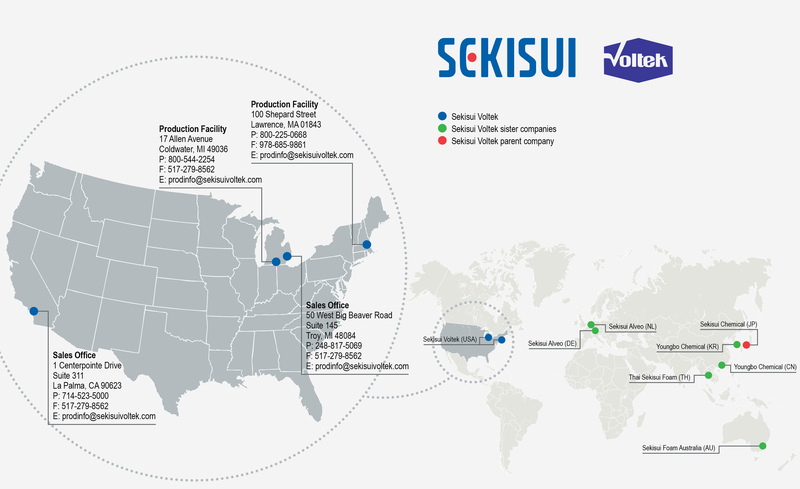 At Sekisui Voltek, we will work with you to help raise the quality and function of your products with the right foam solution. Don’t wait to realize your product’s full potential. Contact one of our product experts and start innovating better ideas. Send us a message using the form below, or email us directly. Please note that Sekisui's area of operation is United States, Canada, and Mexico.